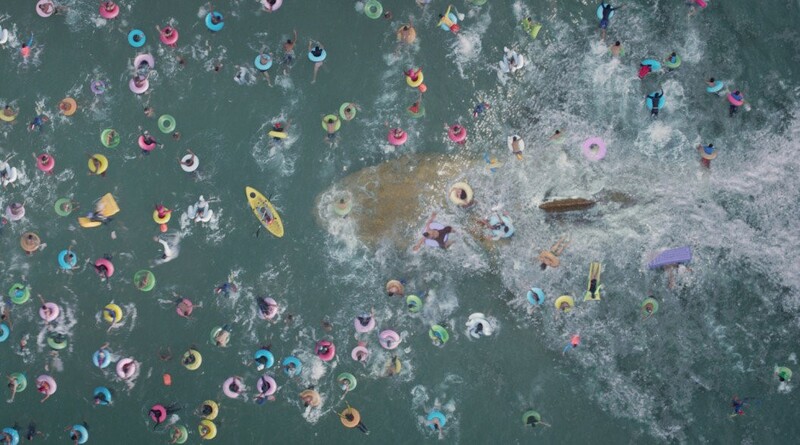 Let’s get to the point: “The Meg” is a middle-tier shark movie. If “Jaws” is the epitome of shark movie greatness, and “Jaws the Revenge” is the bottom of the barrel, then “The Meg” is about a “Jaws III.” In other words, it’s not quite so-bad-it’s-good, and it’s not even so-bad-it’s-bad. But is there anything worse than a sort of middle of the road shark movie? 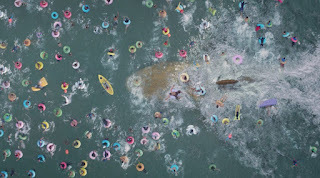 To be fair, there is at least half of a good shark movie in “The Meg.” The film’s second half is filled with some pretty fun in-jokes and enough ridiculous moments to make it worth it, but it’s sort of a slog to get through. It doesn’t help that everything about the film, from its visual style to its bland cast and uninteresting story, is merely mediocre. The film feels like it isn't ok with just playing it safe but it’s too afraid to go too over-the-top. Jason Statham plays a disgraced underwater rescuer and now he’s retired, drinking beers somewhere in Thailand. And we have to sit there for nearly half the movie before anything exciting happens involving a giant prehistoric shark. Sure, “Jaws” took an hour to show the shark but at least everything leading up to that moment was scary, funny, and/or interesting. Not that one should be comparing “The Meg” to “Jaws” obviously. Though there are a few fun references to that horror classic. Like “Deep Blue Sea” this flick is set mostly in and around an underwater research facility in the middle of the ocean. The scientists are trying to breach the bottom of the Mariana Trench; it turns out it’s not actually the ocean floor and a layer of gases has actually sealed off a whole other part of the ocean. Cue the prehistoric maneater. Not quite. First we have to briefly deal with a giant squid that attacks oceanographer Suyin’s (Li Bingbing) diving vessel and her limited emotional range doesn’t quite realistically depict how one might react if they were about to be crushed to death by a giant squid on the bottom of the ocean. THEN the shark obviously shows up to kills the squid and saves her. Eventually the shark escapes the bottom of the trench and for some reason sticks around in the middle of the ocean when it can go any damn well place it pleases. Eventually the shark tires of the boring characters we’ve been introduced to and makes its way to a coastal Chinese resort where there’s literally hundreds of people bathing and swimming. The PG-13 rating limits the carnage, though that’s not really too much of an issue here. It’d just be nicer if there was even a modicum of suspense or tension but the sequence is fun enough. What can we really expect from the director of “While You Were Sleeping?” We finally get a couple genuinely clever and funny nods to “Jaws” essentially reenacted with Asian characters. In fact, the entire film (which was a Chinese-American co-production) feels as if it was made for an entirely different audience.